Games who purchased the digital version of Final Fantasy XIV: A Realm Reborn on 27th or 28th August will be getting a refund from Square-Enix after the game suffered server issues and timeouts. According to a message posted on the European PlayStation Blog, the purchase of the game will be refunded, but gamers will still have access to download the game. All customers that purchased the digital version of the FINAL FANTASY XIV: A Realm Reborn Standard Edition, or Collector’s Edition, from PlayStation Network on 27th or 28th August will receive a full refund and will be able to find the funds in their wallet as soon as this is processed. 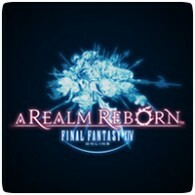 In addition, the entitlements of FINAL FANTASY XIV: A Realm Reborn Standard Edition or Collector’s Edition will be reset and the title will appear again in the download list. Two days after launch Sqaure Enix halted all digital sales whilst they addressed the problem and said they are “working to expand our server capacity in the coming days.” Square-Enix have also extended the trial period of the game for another week to compensate gamers.